How To Deal With Getting Small Tasks Off Of My To-Do List And Schedule? Small tasks are insidious. You know what I’m talking about. They are sitting on your daily or weekly list and although they may look like a 5 minutes job, they end up piling up and taking a whole afternoon. They distract you from more important responsibilities and drain your productivity. That is why I decided to write this short post and help you fix the issue once and for all. Keep reading to find out my simple solution. Although it may sound counterintuitive, I suggest you take some time to reflect and review. Find a quiet moment when you have 30 or 45 minutes to think. Sit down, gather your to-do lists and ask yourself: “What is working fine for me, and what am I not doing well?”. It will help you visualize what is draining your time. You can create a calendar appointment to make sure that you don’t forget this review and you may need to make it a recurring one in the long run. 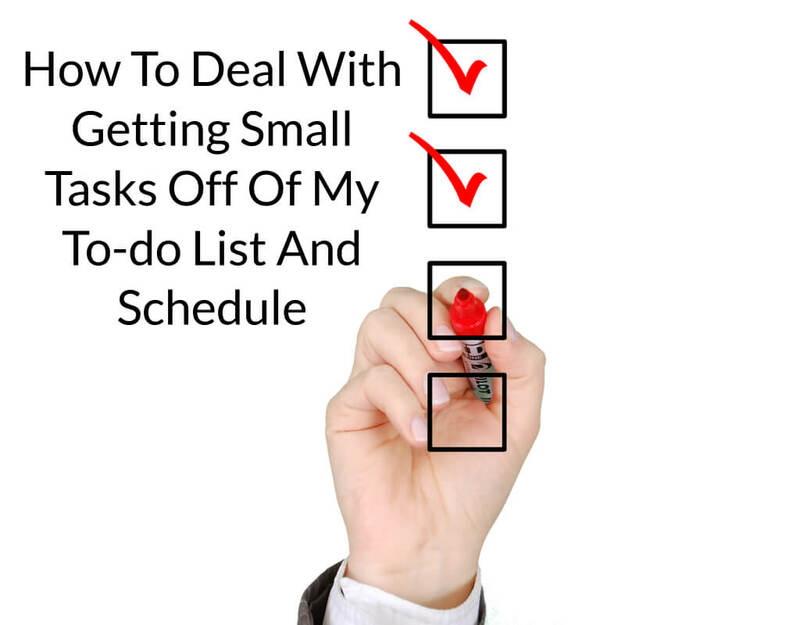 Once you have identified the small tasks you find yourself wasting time on over and over again, go through the list with the simple goal of eliminating them – eliminate the unnecessary tasks altogether, automate what you can, and delegate the rest. Again, some of these will be very small but once you take them off your list, you will see how much time you will have saved. 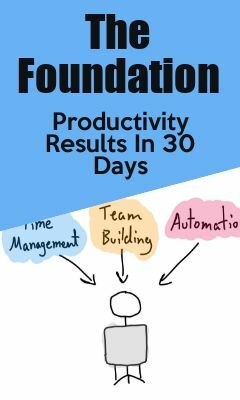 This is especially the case with routine, recurring tasks – dedicating one hour just to get rid of tiny jobs may sound odd, but it will pay off hugely. « Which Common Habit Is The Biggest Waste Of Time?